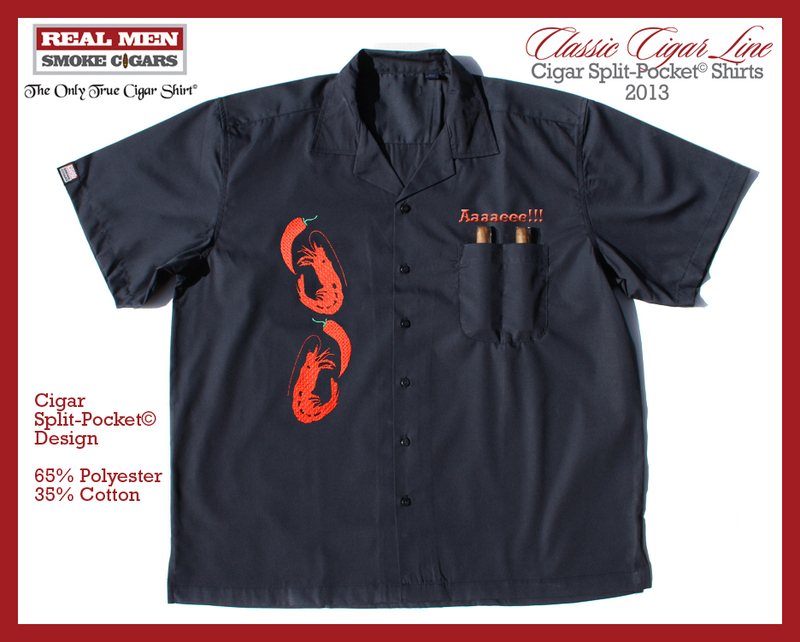 Cajun Cigar Shirt - Aaaaeee!!! 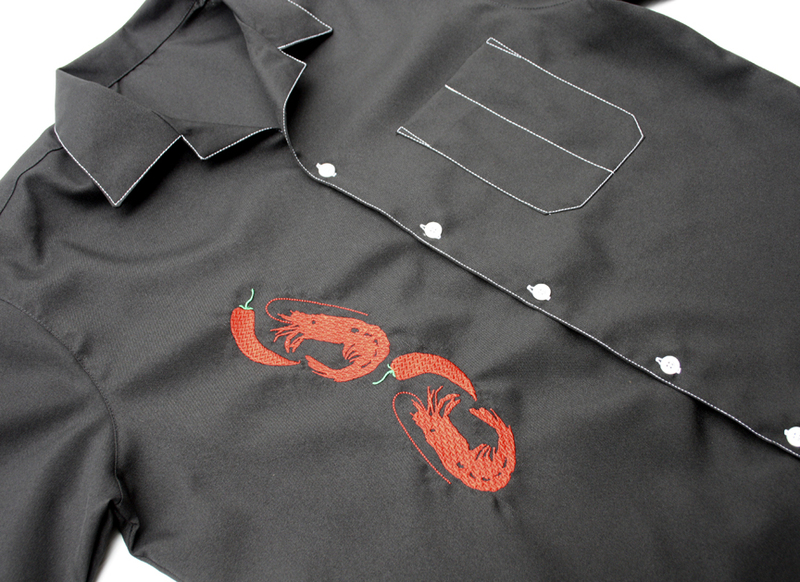 If you like your food hot and spicy then this shirts is great for ya. FIRE HOT RED Chilis & Prawns are always good! 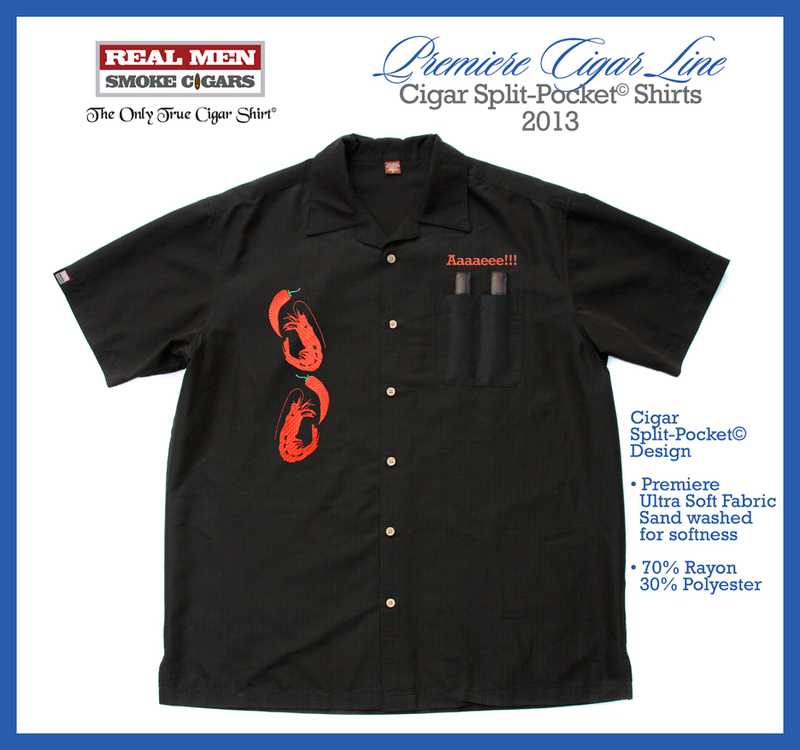 Of course it has a Cigar Split-Pocket© Design. 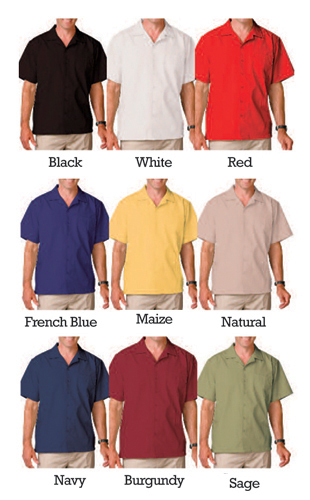 Depending on the color shirt you choose I can make the chilis green or red. After all, it is up to you. 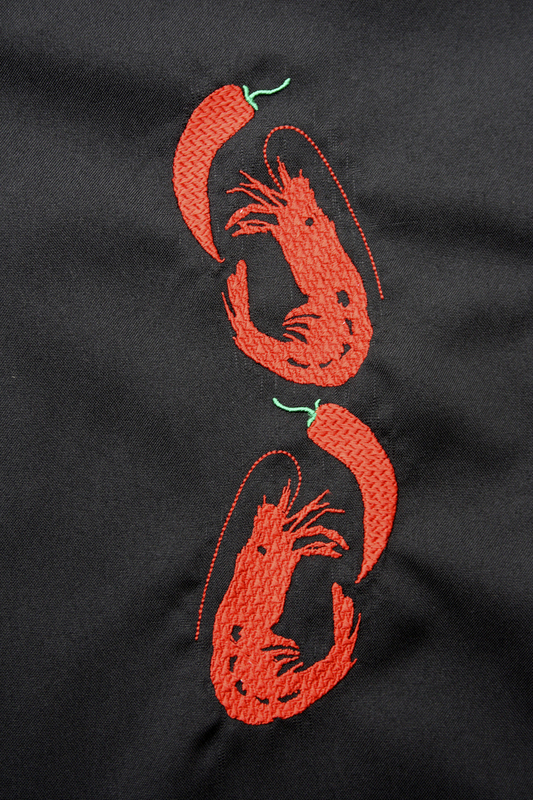 Take note of the detail on the actual embroidery. 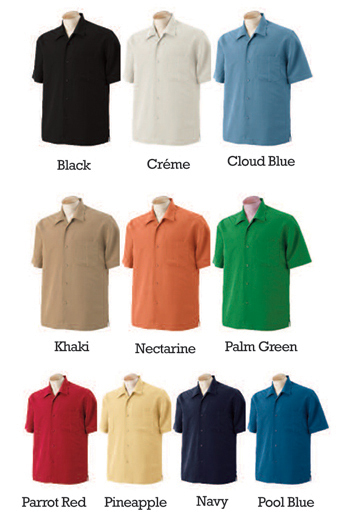 Shirt will NOT have white stitching as shown above. This is previous shirt design.